Yes I felt bad, and I told him what he was getting and what he was giving to me. For all 5? 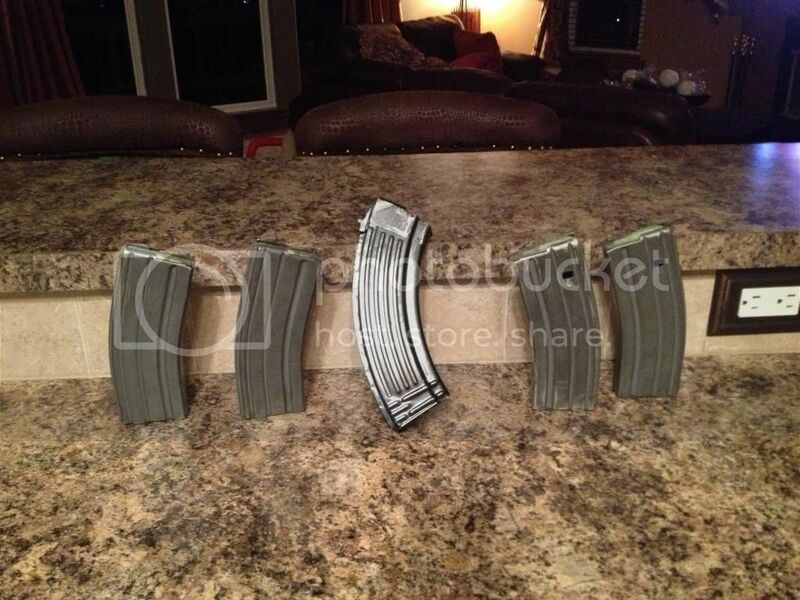 Or just the ak magazine? Either way not bad. Scheels in coralville had a bunch of 7.62x39 @ $.30 a rnd. Guess its not as popular. "The warrior fights not because he hates what is in front of him, but because he loves what is behind him. "-Chesterton, G.K.
"It's like a pile of wire coat hangers inside of my mind"
"If your on welfare you shouldn't be allowed to vote"
"Stop political correctness and start racial profiling"
Local hardare store had some OLD silve bear for $6.35/20. Bought 5 boxes for the halibut. Scheels in Coralville had no 7.62x39 as of Sunday. They had also been nice enough to mark up their 175 Gr. FGMM to $38/box from $22. I bought both remaining boxes anyways. I know where there are a few hundred rounds of SB. It's about a 2 minute walk from my office. If someone wants it, let me know. I would guess 2-300 rounds. I RARELY shoot my AK, so I don't need the rest of it.